BPA free, stainless steel, insulated food jar to keep your food hot or cold for hours. Contents kept warm for 5 hours or cold for 7 hours, meaning it stays fresh and at a safe temperature for safe consumption. Pink and Purple colours, 10oz/ 290ml. By choosing good-quality products, you will not need to replace them as often so you won't contribute to landfill. Packing your own lunch and drinks saves money, trash, and ensures your health and wellbeing. 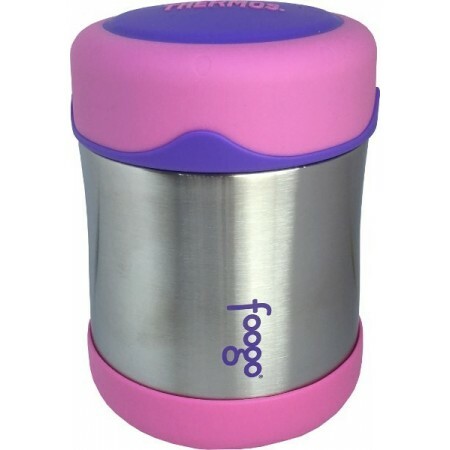 All plastics used for Thermos Foogo are BPA free. Double-wall vacuum insulation for maximum temperature retention. Foogo® products keep foods and beverages safer and healthier for longer. The vacuum-insulated stainless steel interior and exterior is non-reactive to all food and beverages. Plastic components made from BPA free polypropylene (PP#5) . Kid-proof design. Unbreakable stainless steel interior and exterior withstands daily wear and tear. Exterior stays safe to touch for hot and cold contents. Leak-proof lid with a soft grip for easy opening. Wide mouth for easy filing and cleaning. 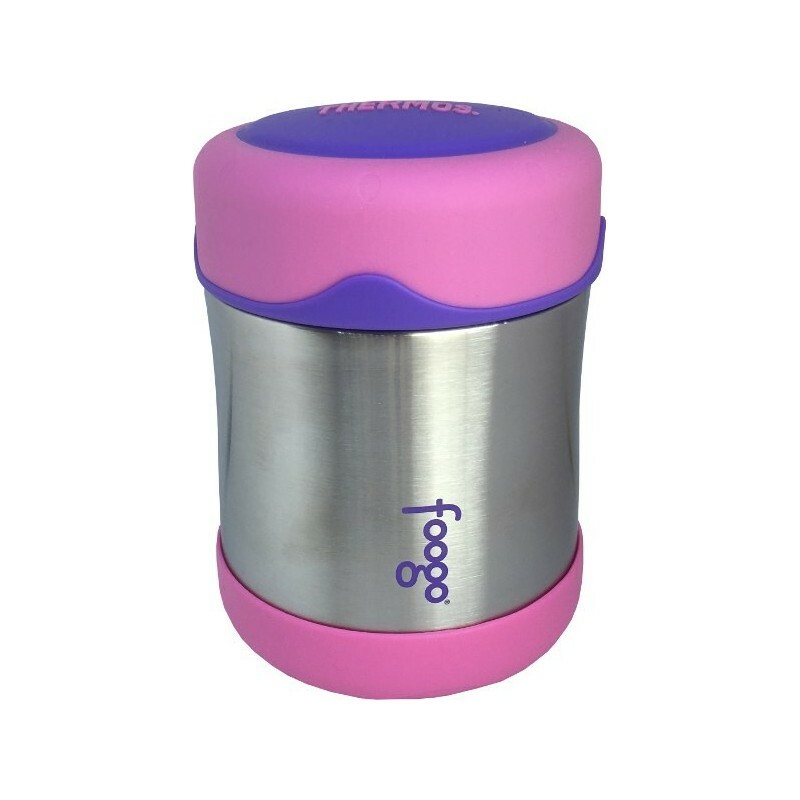 Stainless steel, BPA free polypropylene (PP#5) and silicone. Browse our other insulated food jars. These are perfect for school in winter! Good size for kids, and keep food warm til lunch time. Our kids love them.